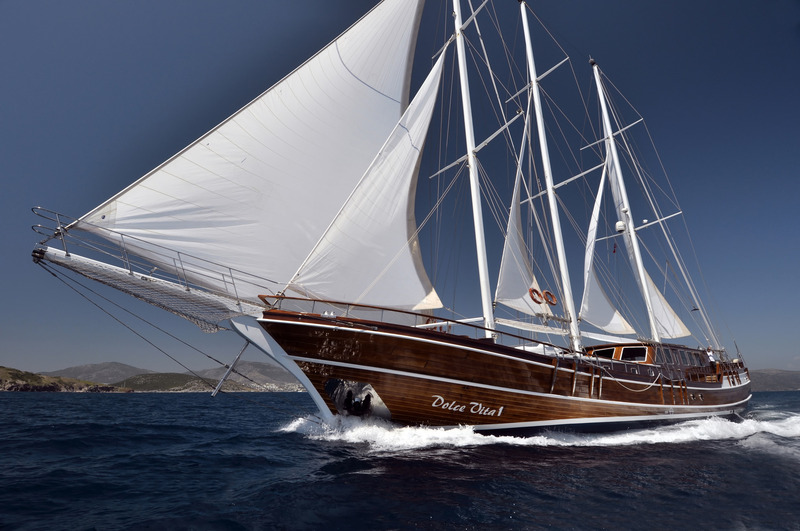 Sailing yacht DOLCE VITA was launched in 2005 by Bodrum Shipyard and refitted in 2015. 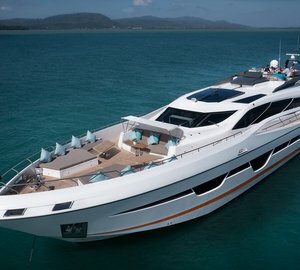 She measures 34m (111,7ft) and offers accommodation for up to 10 charter guests, in 5 cabins. 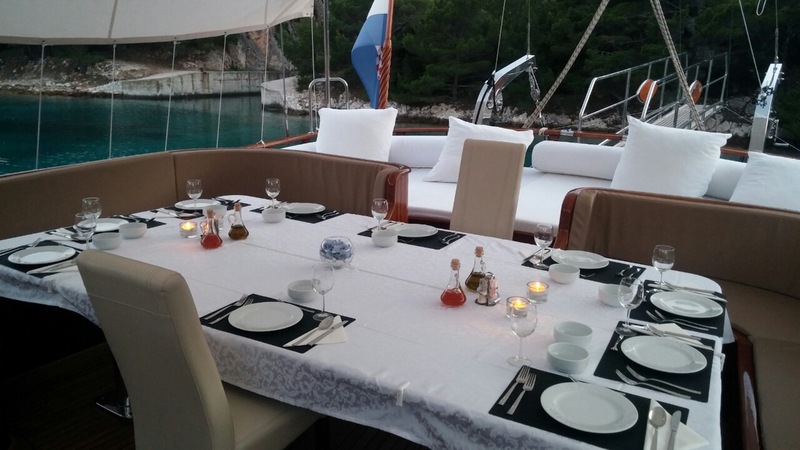 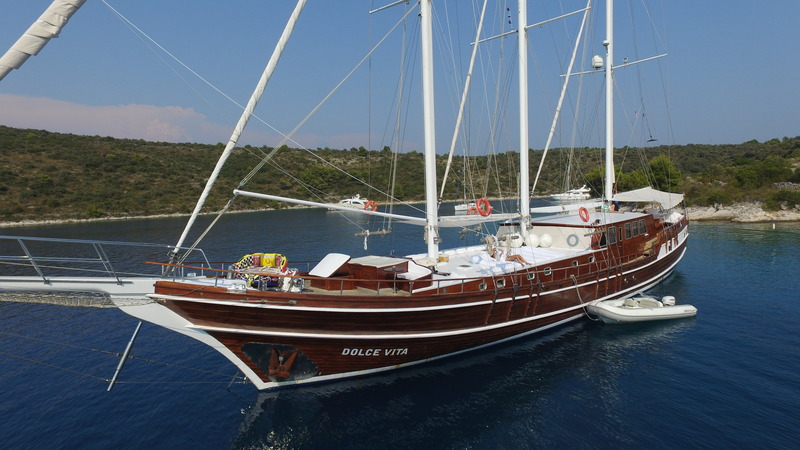 The traditional styled gulet yacht provides ample interior and exterior living, ideal for large groups. 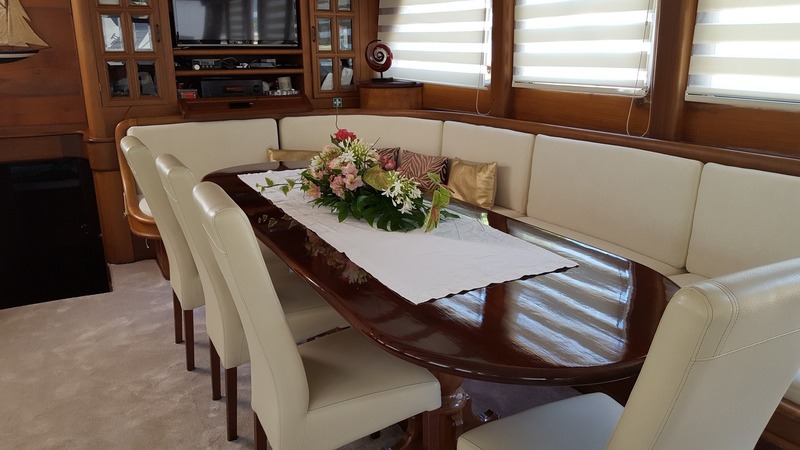 Her interior décor is contemporary and stylish, featuring neutral tones and beautiful timeless woods throughout. 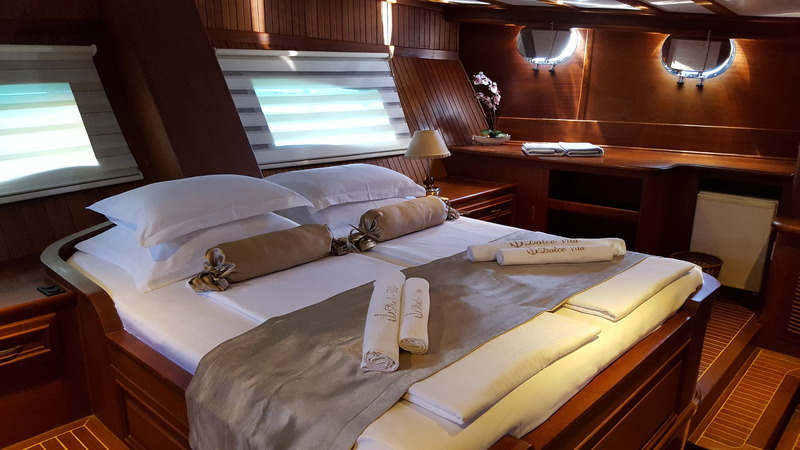 The main salon is in a raised position, offering a comfortable lounge to starboard with wet bar and dining option to port. 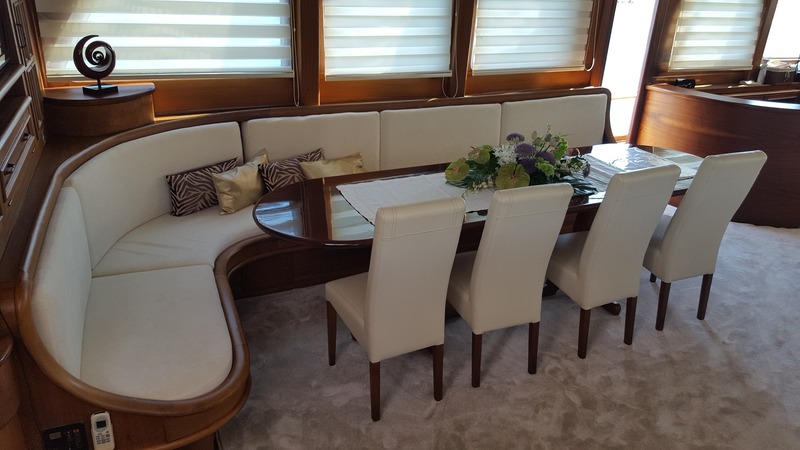 With surrounding windows and side deck access, the salon area is light and airy, perfect for compete relaxation or socializing. 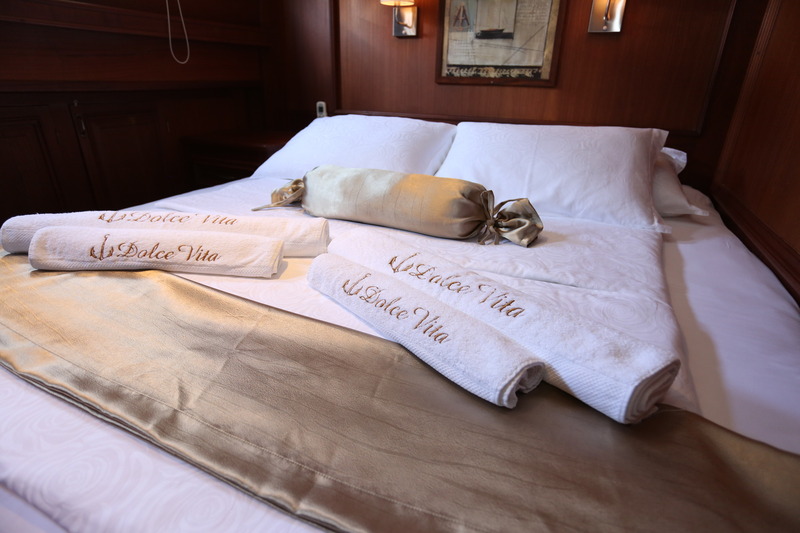 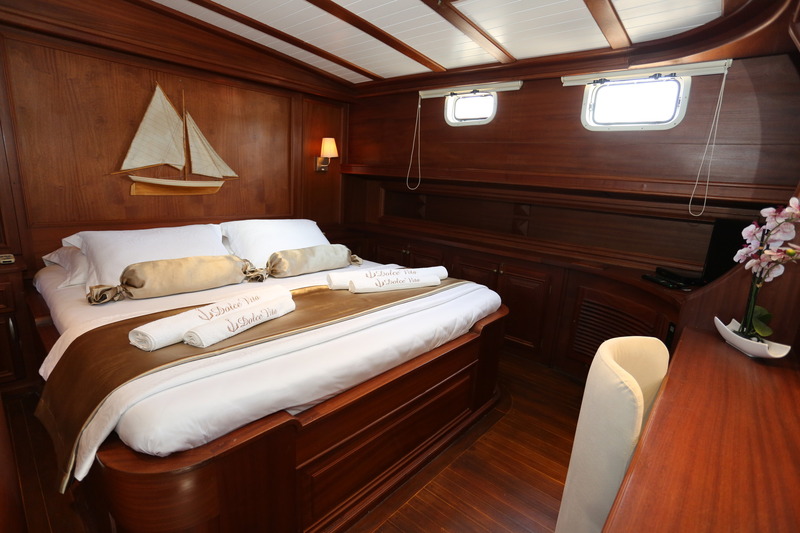 Accommodation is both fore and aft of the salon, in 5 spacious staterooms. 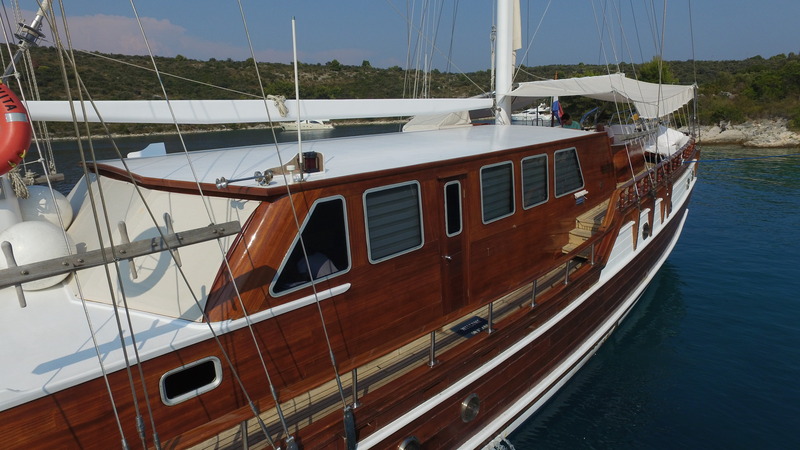 Laid in fine teak decking, the exterior living is well-appointed. 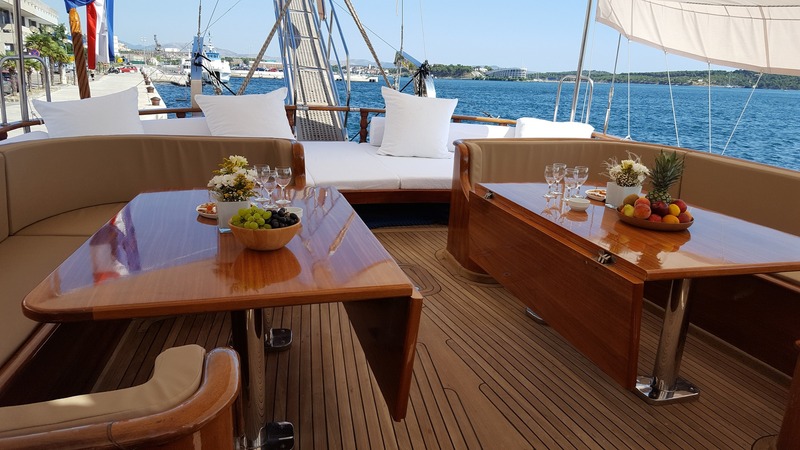 The aft deck offers a custom-built table and seating area, with opposing tables that easily become one large alfresco dining space. 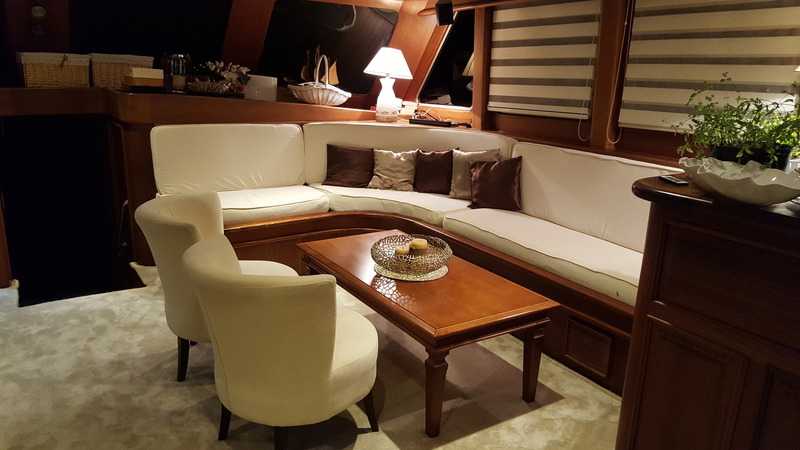 Further aft is a full beam seating and sunpad arrangement, where guests may sit back and take in the views in ultimate comfort. 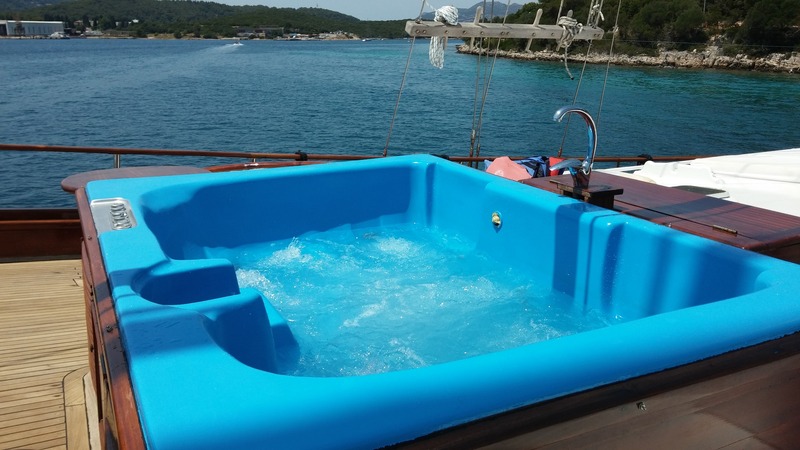 Side decks lead to a raised sunbed deck, followed by a deluxe Jacuzzi tub, additional seating and cocktail tables. 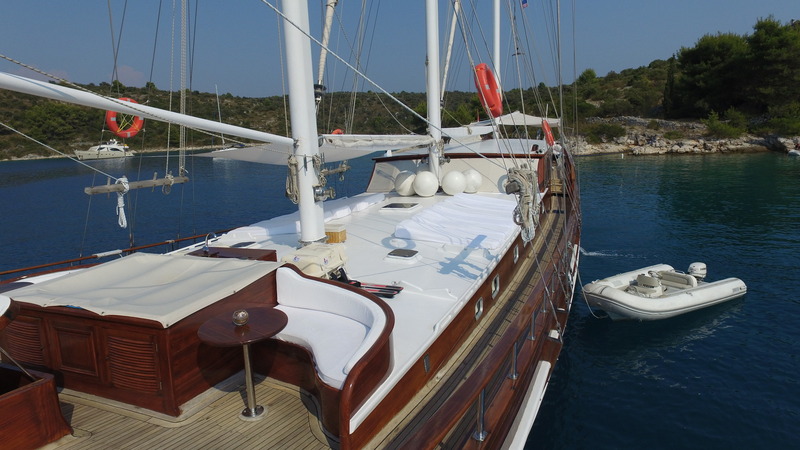 Powered by 2 x Iveco engines, DOLCE VITA Gulet has cruising speeds of 11 knots. 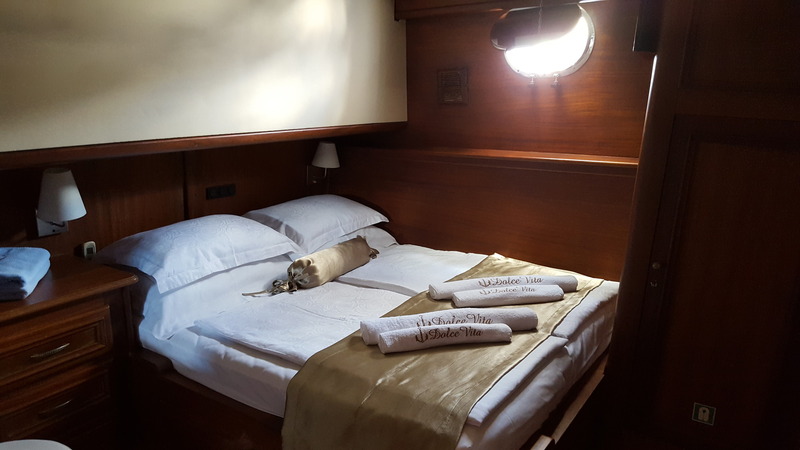 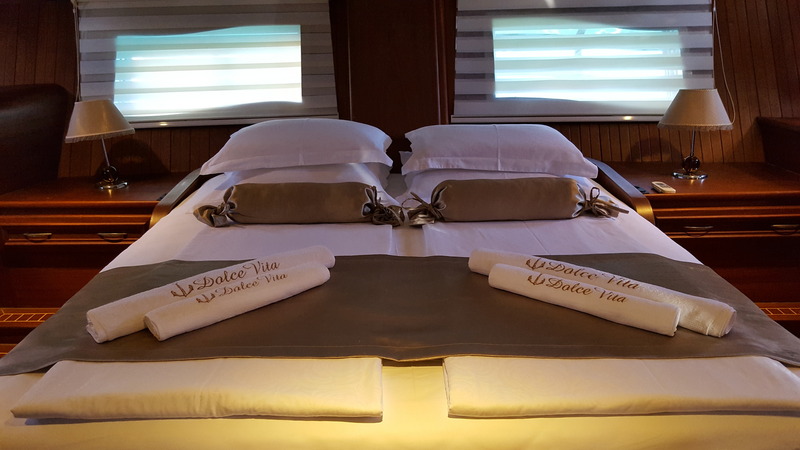 Accommodation is provided in 2 full beam staterooms fore and aft of the yacht, with queen size beds each, seating and oversized ensuite facilities. 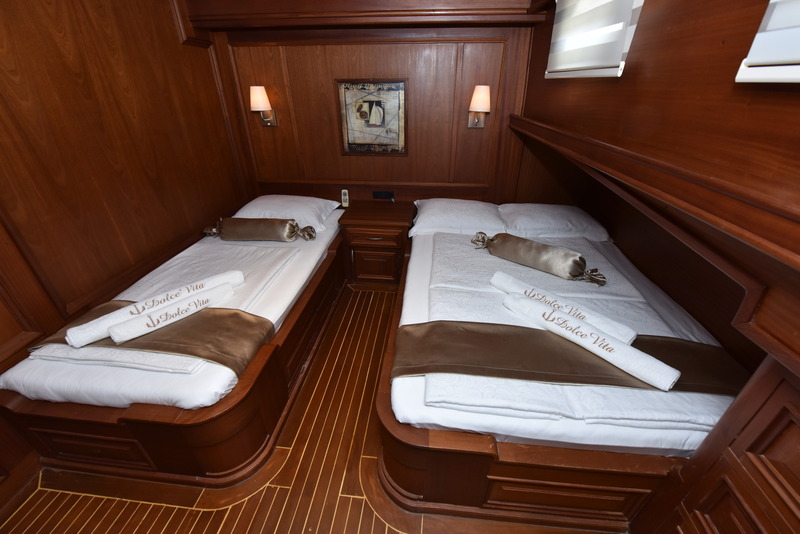 A further 2 cabins offer double beds, while a final guest cabin has a small double and twin bed. 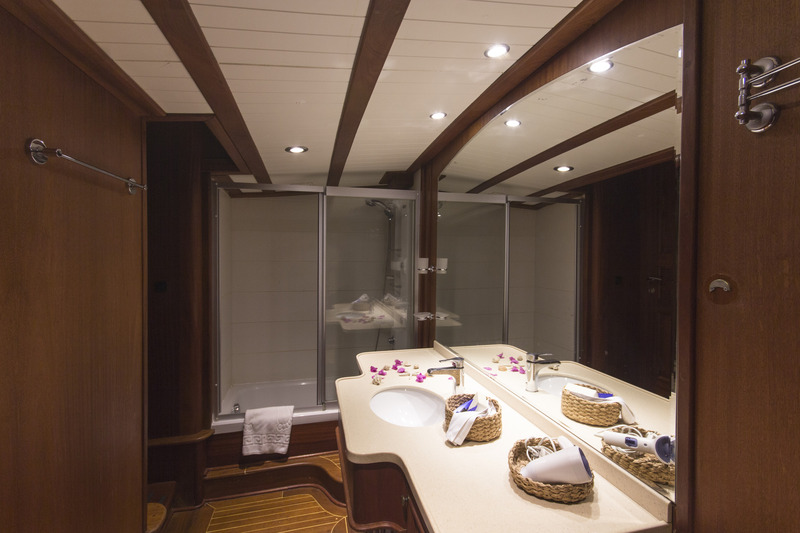 All cabins have TV/DVD entertainment and private bathroom facilities.